Do something each day that sounds like fun. You don’t have to know it’s fun (i.e. it can be brand new to you), but you can pick something you already have experienced as fun. You must use your body in some way. No vegging out in front of YouTube, TV shows, or social media. Spend at least 10 minutes doing it, but there is no time limit on how much fun you can have! There are things I’ve done because I thought they were cool. They appealed to my fear of being alone. There are things I’ve done because everyone else was doing them. They appealed to my need to fit in and sound good at cocktail parties. There are things I’ve done so I’d look good. They appealed to my vanity, arrogance, and need to be interesting. Then there are things I’ve done so I’d be better today than I was yesterday. They appealed to my desire to make order out of the chaos of life. And there are things I’ve done that I’ve done whether I liked them or not. They appealed to my aspiration to make myself a better human being. And there are things I’ve done to make a difference. They appeal to my passion to leave the world a better place than I found it. Then, there are the things I’ve done because they were fun and I loved every moment. Those are things that never leave me, even when they’re “gone.” They make order out of the chaos of life. They make me a better human being. And they make the world a better place. Therefore, this week’s Well-Being Practice is about improving the world one fun-filled minute at a time. Did you know “exercise” can be fun? No, really. 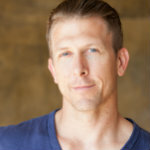 Ryan Hurst is one of the co-founders of the online fitness program known as GMB. GMB is a physical training system that focuses primarily on teaching people of all ages, shapes, and fitness levels how to know their own body and move it well — and always have fun. Listen to this podcast to learn more.